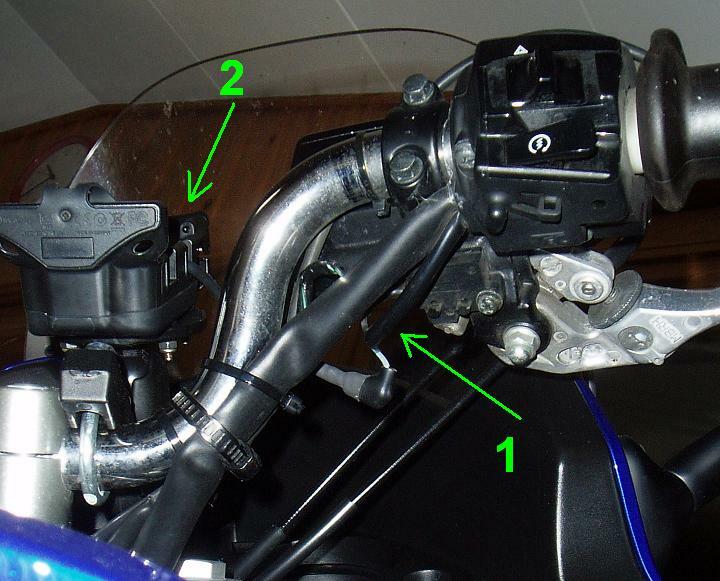 This DIY describes how you can install the Garmin Zümo GPS on a 2007 CBF1000A Honda motorcycle and is applicable for 2006 to 2009 models. A white/green wire routes +12V from a 10A fuse in the fuse box to the right handle (1) where it feeds the front brake light switch via a black/green wire. This is good point as supply voltage for the GPS. The 10A fuse already in this wire means that it is OK to tap directly without using the fuseholder supplied by Garmin. 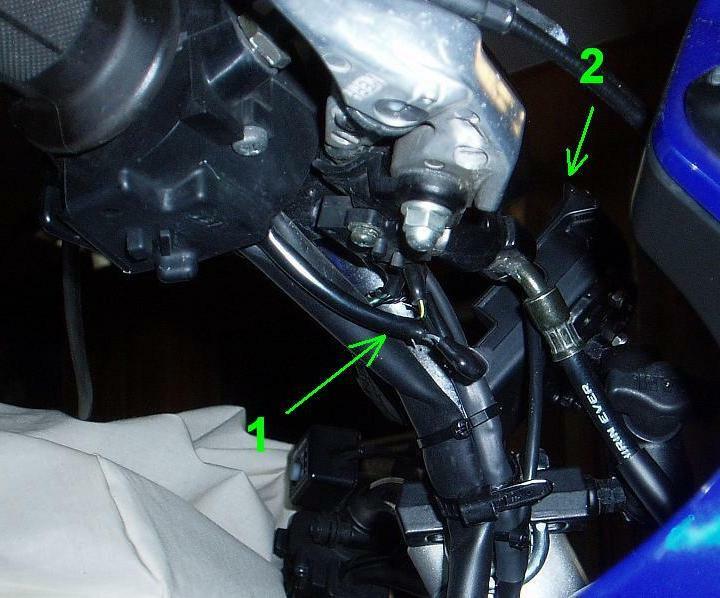 A black/green wire comming up below the front of the tank is ground connection for the heated grips which had been installed by the Honda garage when I bought the bike. I do not know for sure if this wire is part of the original harness or not. This is what I used as ground for the GPS mount (2).